What the function of carbohydrates? What kind of carbohydrates are? Carbohydrates are macronutrients and one of the main dietary components like fat and protein. Sugars, starches, and fiber are carbohydrates. Carbohydrates are an important part of a healthy diet and provide the body with fuel for physical activity such as cycling, walking and running . Some kinds of carbohydrates are better than others. They say also “good” and “bad” carbohydrates. Carbohydrates are divided into simple and complex. The classification depends on the chemical structure of the food, and how quickly the sugar is digested and absorbed. Simple carbohydrates have one (single) or two (double) sugars. Complex carbohydrates have three or more sugars. Simple carbohydrates are monosaccharides ("mono" meaning one, "saccharides" meaning sugar units) and disaccharides (“di” meaning two). Monosaccharides are carbohydrates that are already broken down as far as they can be. There are three simple monosaccharides. Glucose is the principal sugar the body makes from carbohydrates and in some cases from fat and protein. Glucose is carried to each cell through the bloodstream. Glucose is sometimes occurs naturally in many foods such as grapes, corn, honey and other fruit and vegetables. Fructose is a white solid that dissolves in water. It is the sweetest of all natural carbohydrates . Honey, tree fruits, berries, melons, and some root vegetables contain significant amounts of molecular fructose, usually in combination with glucose, stored in the form of sucrose. Fructose has a low glycemic index (35). Galactose is a type of sugar which is less sweet than glucose and not very water-soluble. It is considered a nutritive sweetener because it has food energy. It is found in dairy products, in sugar beets and other gums and mucilages. Complex carbohydrates (polysaccharides) are usually considered to be "good" carbs .Complex carbohydrates, or polysaccharides are made mostly of long strands of simple sugars. Complex carbohydrates divided into include three types : dietary fibre - cellulose, gums and starches. Starch represents the main type of digestible complex carbohydrate. Humans use enzymes to break down the bonds linking glucose units, thereby releasing the sugar to be absorbed into the bloodstream. The body can store the glucose in the form of glycogen. Starches are mostly found in foods such as holegrain breads, oats, muesli and brown rice. Fibres are a form of indigestible carbohydrates. There is also glycogen, which commonly found in human beings and animals. It is a complex carbohydrate called also “human starch” used to store energy. Like starch, glycogen is made up of chains of glucose. The primary storage places for glycogen in the human body are the liver and the muscles. Complex carbohydrate foods are broken down into glucose more slowly than simple carbohydrates and thus provide a gradual steady stream of energy throughout the day. 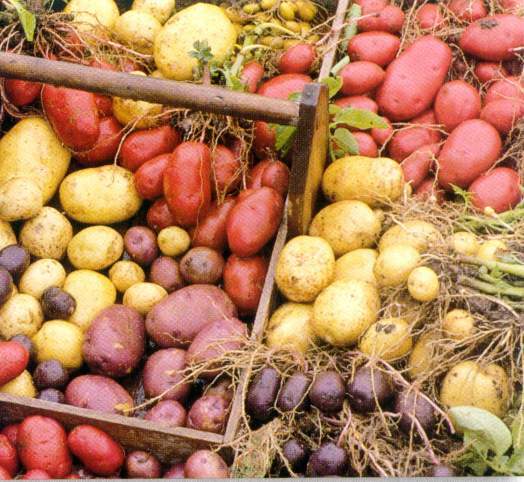 The larger the percentage of rapidly-digested starch in a starchy food, the higher the glycemic index of that food. Food that has the high glicemic index is not recommended who wants to lose weight. Natural complex carbohydrate foods can be less fattening than animal-protein foods that naturally contain fat and contain less calories. 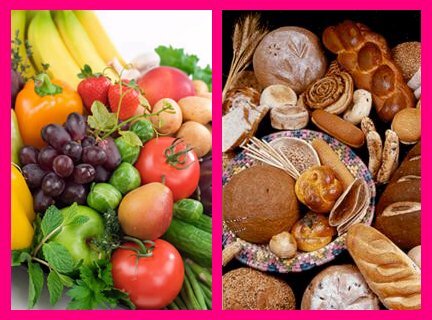 Everyone has different carb needs, it depend on active or sedentary lifestyle you have, men or women you are. It is nearly 60 percent of the calories you eat every day should come from carbohydrates.